A display of RAMM’s Fijian objects with new interpretation by the Fijian Art Research Project. Funded by the Arts and Humanities Research Council and jointly hosted by the University of East Anglia and the University of Cambridge, the project has recently come to the end of its three year (2011-2014) grant. 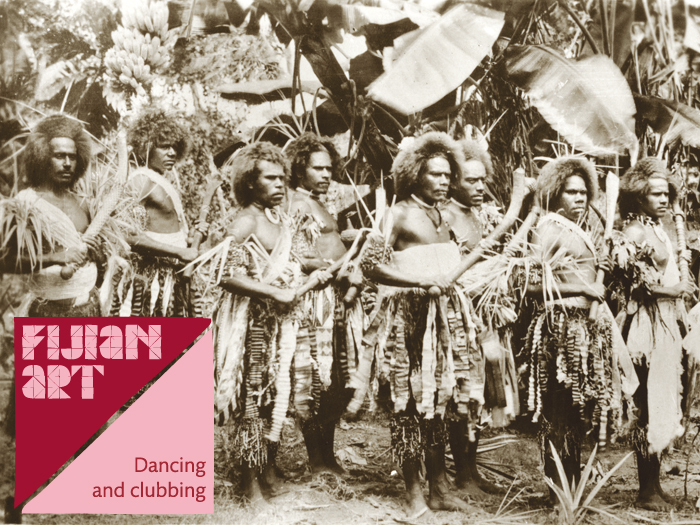 Fiji was a former British colony and many British museums received public donations in the form of clubs, decorated barkcloth and valuable of whale ivory. Fijian art has historically been overlooked and this project wishes to raise public awareness of the close links Britain continues to have with Fiji. In the 19th century, Fijian chiefs twice petitioned Queen Victoria to admit Fiji to the British Empire, the second approach was successful in 1874. As a result of these encounters, objects were presented to or collected by British visitors to Fiji. For more information on the RAMM's Fijian material, visit the database feature on their website.